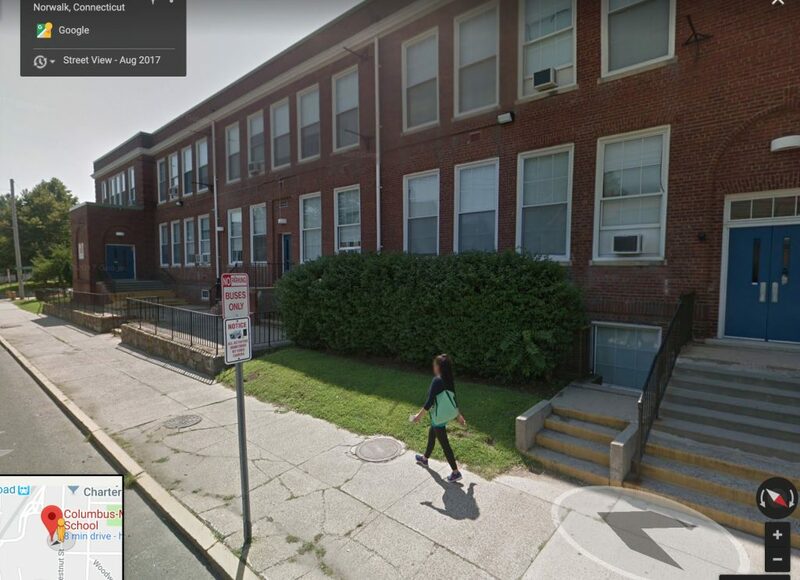 NORWALK, Conn. — Spend another $3-4 million and you’ll get a new school on Chestnut Street instead of a renovated school building, Building and Facilities Manager Alan Lo told Common Council members Thursday. “It makes sense to me,” Council President Tom Livingston (D-District E) replied. “- A new building would be specifically designed to meet the educational requirements of the proposed program, as opposed to trying to fit the program within the existing dated structure. – A new school would have a smaller footprint (due to State requirements), thereby making better use of the current undersized lot. The idea for a new school debuted at a recent Board of Education Facilities Committee meeting. “This is an 81-year-old building … the layout is sub-optimal. For $3 million (more) we can get a brand new school,” BoE Chairman Mike Barbis said. Lo told Council members he wouldn’t typically support building a new school, because the state reimburses renovations at a 32% rate and new construction at 22%. But with the Chestnut Street school building, currently the home of Columbus Magnet School, the math works out differently, “because the total square footage of the existing building plus the cafeteria is about 10,000 square feet more than what we do for a new building,” he said. The old school rooms are oversized by modern standards and only 50,000 square feet are needed for the number of children who will be attending. Renovating the existing school requires work on 60,000 square feet, and at $550 per square foot for construction, “that’s $5 million right there,” he said. Remediation costs at the old school are a driver too, according to Lo. In a renovation, lead-based paint must be removed from the walls, but the process is simpler in a demolition. The existing Columbus community is expected to move to the new school planned for the Nathaniel Ely site on Ely Avenue, leaving the Concord Street school empty. Therefore it could be demolished if the new school option is selected, officials said. “The review is continuing and things could change. A formal recommendation will be made at an upcoming Land Use meeting. And, of course, whatever we do is subject to funding,” Livingston wrote. I attended a one-day professional conference on March 1 at the Wall Street Theater, along with other land use officials, lawyers, and developers, on the subject of adapting historic buildings for reuse. The main theme was how much carbon and energy is saved by renovating old buildings instead of demolishing them and starting over with new. These costs must be included in any analysis, and the data is there. It can take up to 80 years for newer more efficient building to match the energy and carbon savings of renovating historic structures. There is a trade-off of course, but a real analysis doesn’t just look at financial costs, but all costs. A report produced by the Preservation Green Lab of the National Trust for Historic Preservation provides the most comprehensive analysis to date of the potential environmental benefit of building reuse. This groundbreaking study, The Greenest Building: Quantifying the Environmental Value of Building Reuse, concludes that, when comparing buildings of equivalent size and function, building reuse almost always offers environmental savings over demolition and new construction. Chestnut Street in the heart of historic SoNo has a good stock of historic brick industrial buildings that have recently or currently adapted for reuse, including the Open Doors Smilow Center and the residential lofts next to the train station by Keith Brown. The historic brick Columbus School fits right into this urban fabric and “streetscape” quite well. It helps give the neighborhood its unique character, something we should try to preserve as best we can. Despite the loss of many other historic buildings in this area over the decades, including right next door to Columbus where a more “suburban style” housing project exists, there is still enough historic flavor left to preserve. So I want to make two points here. 1) Try to keep the historic school, preserving the historic character of the street and which we know saves energy and carbon which needs to be figured into the analysis following the National Trust guidelines. 2) If a new building is deemed to necessary in the end, pick a sleek modern steel and glass look to avoid phony historicism which is tacky, and build it right along the street using the existing parking lot as well, using street trees to soften it but avoiding any “suburban-style” setbacks with parking or driveways or wasted unused lawn out front that’s costly to maintain. All vehicular circulation and parking can easily be handled in the back and shared with recreational space with good site design solutions, with access from the rear as well as the front to lessen the traffic and gridlock on Chestnut and allow quicker and more direct access to MLK Boulevard. To summarize, try to save the existing building, but if smarter folks than me decide a new building is essential, than do it right by preserving the urban streetscape by building up to the sidewalk, and avoiding an obsolete car-oriented suburban-style design in the heart of this vibrant walkable and diverse urban neighborhood. How much money was spent on Columbus School a few years back when it was fully sprinklered to bring it up to code? Seems like a waste to rip it down. Interesting points, Mike Mushak. Not sure that I could pick out a phony historical edifice vs. the real deal, and I have (personal) issues with sleek modern and steel edifices redefining our city’s historical character. But I appreciate this perspective on demo vs. reno.